A couple of weeks ago we were in New York. I had the honour of spending time with two design legends – Ivan Chermayeff and Milton Glaser. When it comes to logos, the work of American agency Chermayeff and Geismar (recently renamed Chermayeff and Geismar and Haviv) has been my biggest inspiration. I spent an hour chatting with Ivan Chermayeff. I said that the agency’s simple, bold logos are the definition of good logo design for me – meaningful, beautiful and distinctive in any setting. I asked him whether he feels that we need to reconsider the principles of logo design in the current age when many settings offer the opportunity for endless complexity and variety (in the digital environment a logo never needs to look the same twice). I was happy to hear him say that the need for uncomplicated, memorable marques was greater now than ever. Logo for Rockerfeller Center by Chermayeff and Geismar, 1985. Ivan said that many great logos look like they have been created in a couple of hours. But these simple and appropriate marques are of course the result of much intense work. This made complete sense and chimed with my experience. I think that good logos are like good poetry – not much is used to say a great deal. And pulling off these little magic tricks is not easy and almost always requires lots of hard work. It was interesting and inspiring to learn that Ivan – now in his eighties – works a seventy hour week. Later in the day, I met Milton Glaser and I asked him how he set the scene for good design. He talked about the relationship between the client and the designer. He said that if this is not right, a project is likely to run into trouble. He explained that each of these relationships can work in a different way, but they must get some things right in order for good work to result. Importantly, he said, ‘you have to work for people you like’. I think I know what he means: when the relationship is good, the designer will work hard to understand what is important to the client and their business, and the client will work hard to understand what is important for the creative process and good design. Milton and I talked about the fact that good work arises when at a certain point, after much conversation and diligent research, the design process must take a leap into the unknown. It requires a letting go of structure, logic and convention. It requires a stage which is not easy to explain or justify. This resonated with me strongly and I was delighted to hear this from him. We are designers and not artists. We are working for others first. And yet, we benefit from adopting artist-like behaviour at a certain point in the process. Perhaps design is part considered process and part magic. 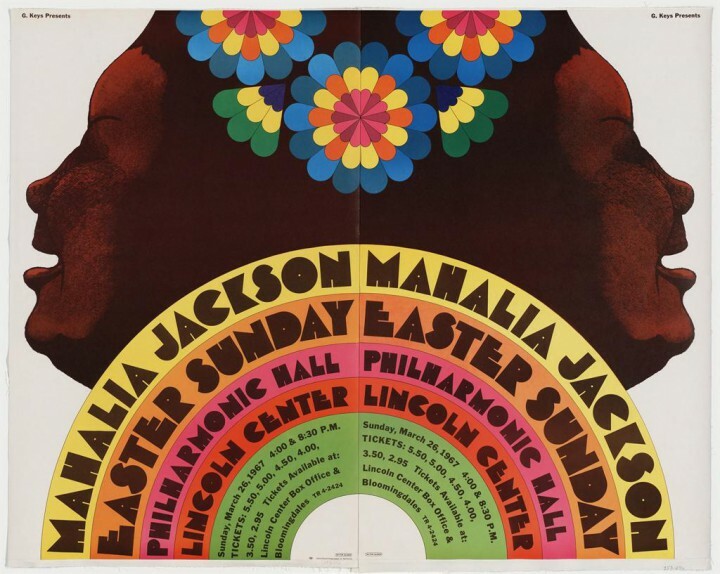 Concert poster by Milton Glaser, 1967. 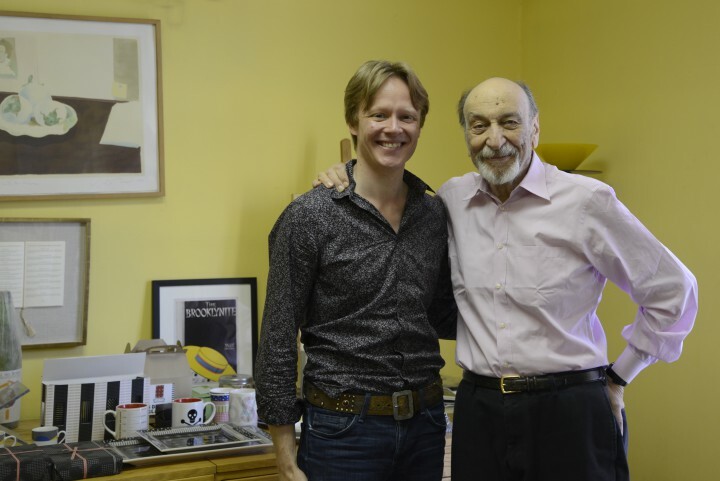 Thank you very much to Ivan Chermayeff and Milton Glaser for being so generous with their time and knowledge. It was thrilling and inspiring to meet them. Thanks also to Ed Agostini who very kindly set up these meetings for me, and has helped me to truly embrace the message: I heart NY.